Reality TV at it’s Best Staring You. 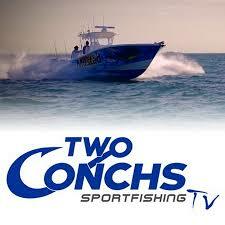 Come abort Two Conchs Charters and have your fishing adventure play out on TV. 10:30am-5:00pm Reef & Wreck Fishing for Mutton, Mangrove & Yellowtail Snapper, Black Grouper, Red Grouper, African Pompano, Amberjack and more! 7:30am-3:30pm Offshore Fishing for Dolphin, Wahoo, Tuna, Billfish. Electric Reel Fishing for Snowy Grouper, Queen Snapper, Tilefish, Swordfish & more! 7:30am-3:30pm Gulf, Florida Bay & Flats Fishing for Permit, Cobia, Goliath Grouper, Bonefish, Tarpon, Snapper, Grouper & More! Seminars include: Cast net Throwing, Knots & Riggs, Marine Electronics, Outrigger Trolling Spreads, Deep Dropping, Lure Selection and MORE! $1550 includes 3 full days fishing, seminars, lunch & dinners…. SPACE IS LIMITED!